People first came to Central and South America probably around 20,000 years ago. They were probably traveling south from North America, though some people may also have come by boat across the Pacific Ocean. 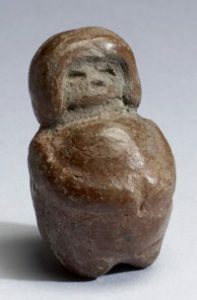 These earliest people, like other people elsewhere in the world at that time, knew how to make stone spearpoints and axes, and how to make fires. They lived by gathering plants, mainly wild grasses like teosinte and mesquite, and yuca root, and by hunting mammoth and other animals. Along the Atlantic coast and the Pacific coast, they lived on seaweed, shellfish, and fish, pickled in clay-lined baskets or pottery jars. Around 15,000 BC some new people seem to have arrived in Central and South America, also coming from North America. Possibly these new people killed off the people who were already there (maybe by giving them sicknesses). Or the old and new people may have mixed peacefully. In any case these people soon had to deal with a new problem: the big animals like horses and mammoths which they were used to hunting all died off, either because the world became a little warmer and not enough of the plants these animals ate grew anymore, or because these new people killed all the big animals off. People had to learn to hunt smaller animals like rabbits and llamas and alpaca. People started farming in South America about the same time as in Africa and Asia, around 9000 BC. First they started growing squash and gourds to use as containers, then about 8000 BC potatoes and peanuts, then corn (probably a domesticated version of their old food teosinte) about 7500 BC. Early farmers faced some challenges: for instance, the best places for planting corn also happened to be the best places for gathering wild mesquite, so people didn’t want to destroy a good food supply in order to try out a new risky idea. 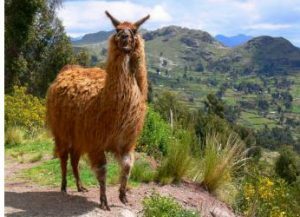 By 5000 BC they grew beans, and a thousand years later they grew avocados and raised alpacas for their wool. South Americans also farmed sweet potatoes by 3000 BC. 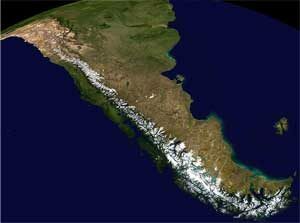 Soon after they started farming, just like in Mesopotamia and Egypt, South Americans began to form bigger states. The Norte Chico (now northern Peru) and Valdivia (now Ecuador) groups settled in the river valleys about 3500 BC and built stepped pyramids and round plazas. Both here and further south in Chile, people fished from small boats and grew cotton and coca leaves. In Venezuela, the Arawak grew yuca root. In Brazil, there were fishing towns with thousands of houses. Some sort of crisis – maybe a drought – ended both the Norte Chico and the Valdivia states about 1800 BC. 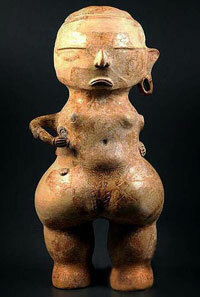 Further north in Central America (the southern part of modern Mexico), the Olmec civilization began around 1200 BC. There are Olmec-type monuments as far east as modern Guatemala. A new phase begins in 900 BC as the Tupi people, who had been living in the upper Amazon basin, in the north-middle of South America, started conquering their neighbors. They moved south-west into Brazil, and possibly northward too. The Olmec civilization collapsed about 400 BC. The problem may again have been climate change, but there are also signs of (possibly Tupi or Arawak) invasions. Soon other people, or perhaps descendants of the Olmec people themselves, created new states in the same area. The best known of these are the Maya. Another one is the Zapotec. Early signs of the Maya state began as early as 1000 BC, but the main Maya period began about 600 BC, with the decline of the Olmecs. The Maya gradually established a powerful kingdom or kingdoms (we’re not sure if there was one king or different kings in different cities), which extended over most of Central America (modern Guatamala). About 500 BC, people in Central America were also farming tomatoes. Other states like the Moche began to rule different parts of South America. Tupi people continued conquering southward. About 500 BC-1 AD, some of them formed the Guanari chiefdoms in what is now Paraguay and Argentina. About 300 AD, the Arawak began to conquer the Caribbean islands. Across the Andes along the coast (in modern Chile), the Mapuche culture traded with the Guanari. 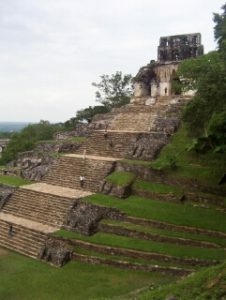 When the Maya state began to decline, about 1300 AD, two other important kingdoms formed near them. 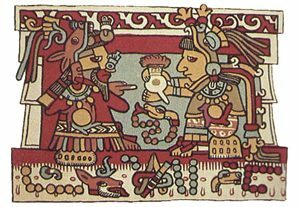 One was the Aztecs, whose kingdom was to the north of the Maya, in what is now Mexico. The other was the Inca, the successors of the Moche, whose kingdom was to the south of the Maya, in what is now Ecuador and Peru. The Inca attacked both the Mapuche and the Guarani, but both of them fought off the Inca. Although the Maya state was clearly in decline by the 1400s, all three of the big states -the Maya, the Aztec, and the Inca – were still operating when the first invaders came from Europe to South America just after 1500 AD. Cite this page: Carr, K.E. South and Central American history. Quatr.us Study Guides, September 9, 2017. Web. April 20, 2019.